An entirely new, ground breaking solution was requested so that is what we designed. The platform we designed is developed specifically to clear away the 'front-end and back-end' mentality. 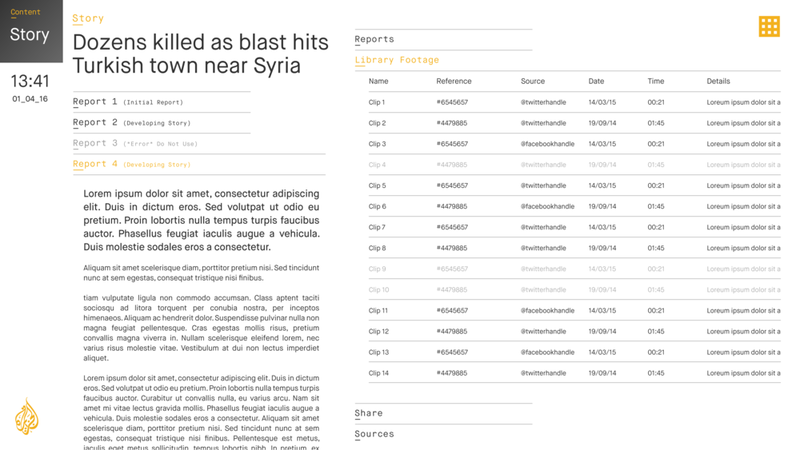 Making this the first ever completely transparent newsgathering solution to be put into broadcasting today. With a unique ability to marry digital and on-air platforms into just one, sees this innovation call into question the nature of what viewers are able to see by showing them everything, and allowing them to decide what news interests them most. 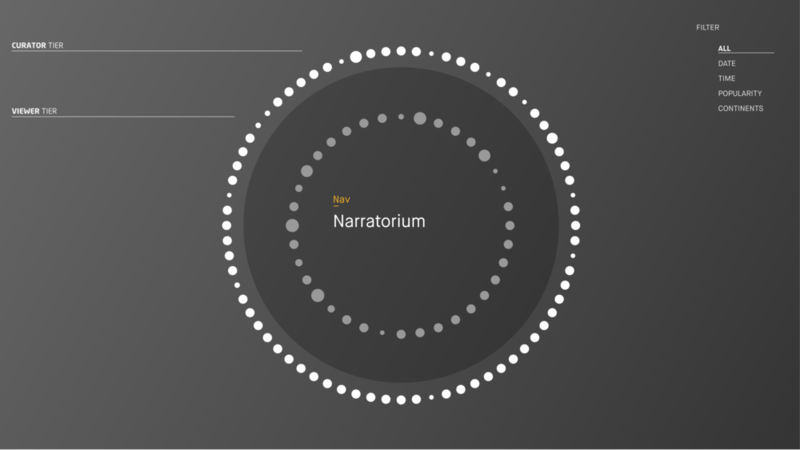 A game changing approach to newsgathering comes in the form of the Narratorium, stories are selected and allocated for viewer delivery. Journalists receive the global stories available. Based on size of each sphere they know the amount of feeds driving the storiy on all media channels, social channels included. Once selected and approved for public viewing they are dragged from the outer ring to the central ring known as the 'Newspool'. 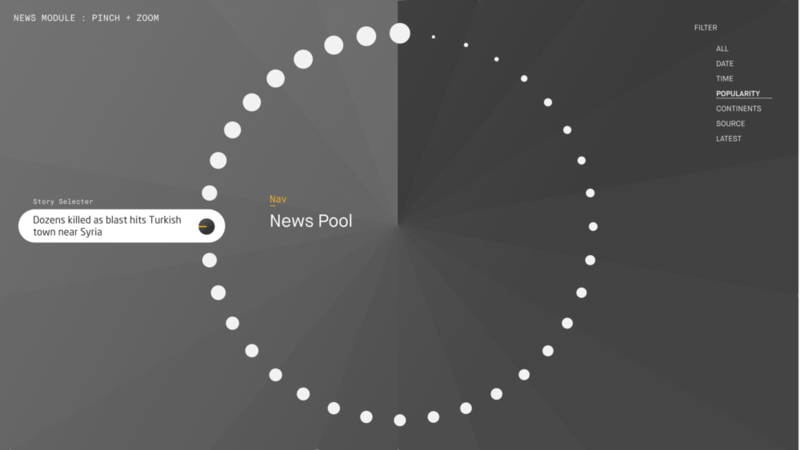 A constantly evolving sphere of news stories as they happen, linked to all feeds available to viewers, in the form of a News Pool. 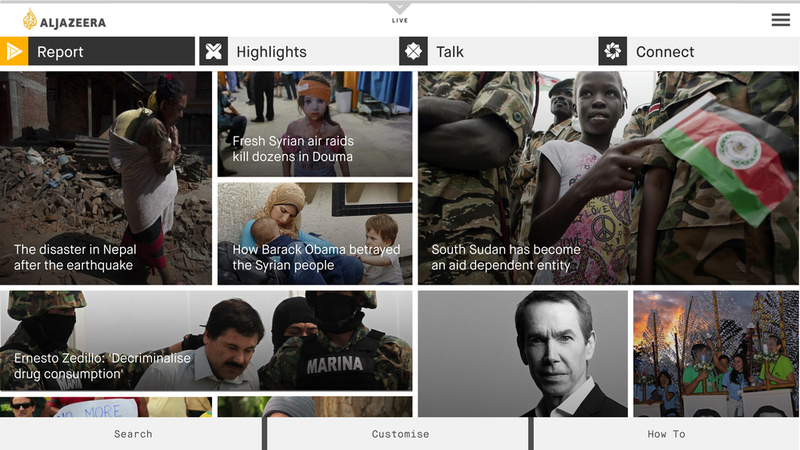 The Newspool is where viewers can see all stories approved by Al Jazeera. Once they select a story they open up a pod which contains any content, be it editorial, video, social, etc. that is available as at that time. 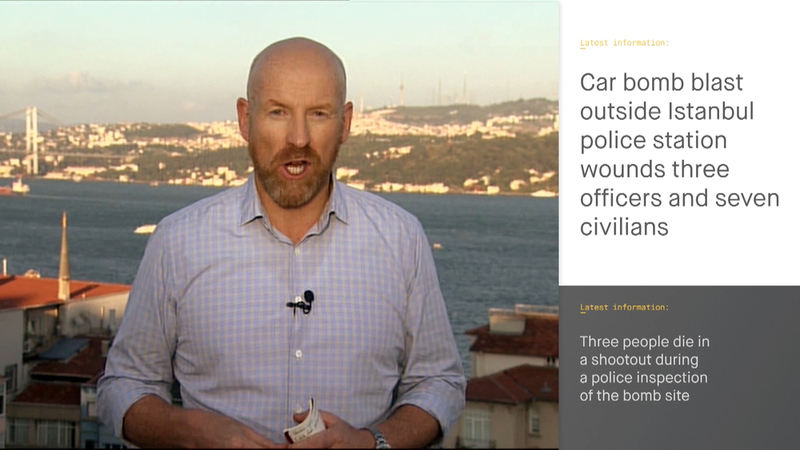 A constantly evolving Live stream of news story content. All content available and delivered in a digital platform easily navigated. 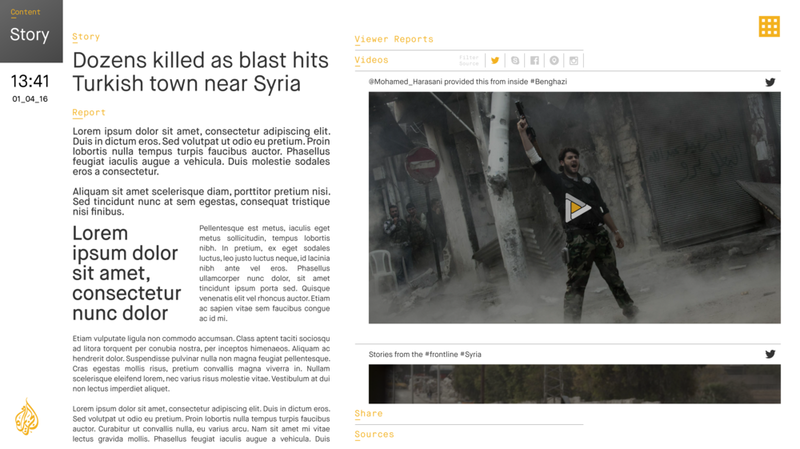 The exact same platform available for viewers to search at their leisure on a digital device. The final stage utilises this data and, through a responsive modular coded system, allows the content to fluidly fit all devises – including television broadcasting in 4:3 and 16:9 aspect ratios, that has been so difficult to deliver a quality consistant for all viewers up until now.